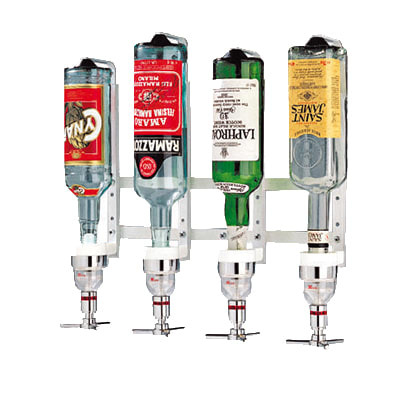 The Paderno 44056-04 bottle rack mounts on the wall behind a bar so that the bartender can quickly prepare drinks. 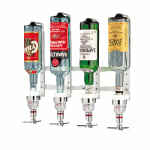 This unit holds four bottles and requires separately sold bottle pourers. It resists rust, dents, and bends since it is constructed of aluminum. To help staff keep up with the amount of liquor used, this rack has a preset capacity flow built in.